The newly developed handle of Versagrip fits the hand perfectly, and therefore leads to less strain and pain. Users have assessed the Versagrip and gave the new ergonomic handle a score of 7,5 on a scale where 10 is most comfortable. Less strain leaves energy for more focus on the job, and helps to prevent accidents. Based on the experiences of many OR-nurses, it can be said that current surgical instruments are equipped with uncomfortable handles. An important criterion for comfort is that the usage is free of pain. Most handles are designed more than a century ago, and do not meet today's criteria of a comfortable manual instrument. 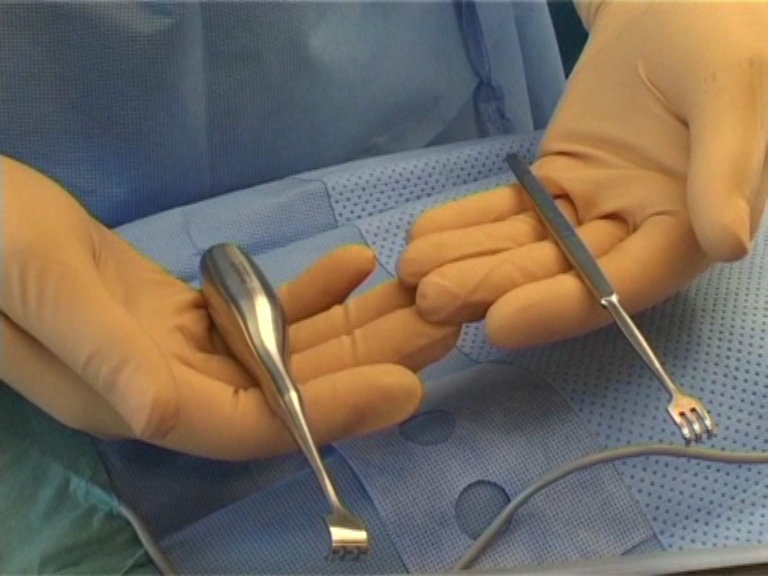 Using the traditional instruments during surgery leads to discomfort and eventually to pain. Versagrip is the new comfortable handle.